Enzo Ferrari (born February 18, 1898 - died August 14, 1988 at the age of 90 years) was the founder of the Scuderia Ferrari racing team and later became part of Ferrari products. He was born in Modena, but in 1916, his father died of a flu outbreak. He built his company by making a few sports cars that use his name and Prancing Horse emblem. Prancing Horse emblem was inspired by a painting that adorned the body a fighter plane flown by Francesco Baracca in World War I. Ferrari originally put the engine in the front of the car, like the other cars. However, since 1961, Ferrari cars engine placed behind. Born in Modena, Enzo Ferrari grew up with little formal education but he has a strong desire to race cars. During World War I, he served in the vanguard of the army of Italy. His father, Alfredo, died in 1916 due to a widespread flu outbreak in Italy at that time. Ferrari was also down with the flu and he was released from his job. When he arrived at his home, he learned that his family's finances in a state of danger. Ferrari tried to find a job at Fiat (a car company in Italy), but failed, and then he found a job at a smaller car company called CMN, the design used truck into a smaller car. He is also a racer in 1919 at CMN team, but not so successful. He left CMN in 1920 and became the team's drivers in Alfa Romeo (a car company in Italy), she managed to achieve more success than ever. In 1923, he followed the car racing in Ravenna and get rewarded with the badge of The Prancing Horse (horse jump) that decorate the plane Francesco Barraca (a leader of Italian troops). Logo is waiting for 9 years until eventually used the symbol of a race car. In 1924, Ferrari won the Coppa Acerbo (a race car) in Pescara, Italy. He experienced success in local races encouraged Alfa to give the opportunity to attend a more prestigious race. Ferrari did not take that chance and did not race until 1927. He continued to work directly for alfa romeo until 1929 before making the Scuderia Ferrari as the racing team for Alfa. Ferrari regulate corporate activities Alfa cars and formed a team of more than 40 drivers, including Giuseppe Campari and Tazio Nuvolari. Ferrari himself continued racing until the birth of her first child in 1932 (Alfredo Ferrari, known as Dino, who died in 1956). Alfa Romeo ended in 1933 when financial problems make a withdraw alpha. By the intervention of Pirelli, Ferrari did not receive the car at all. Because the quality of the Scuderia drivers, the company has multiple victories (1935 in german is an exception). Brand mercedeslah auto union and who dominate the area. In 1937 Alfa receives control once again racing business, led Ferrari to Director of Sports under Alfa engineering director. Ferrari soon left, but because of contract cause he could not racing or designing for four years. He set up Auto-Avio Costruzioni, a company supplying parts to other racing teams. But in the Mille Miglia in 1940 the company produced two cars to compete, driven by Alberto Ascari and Lotario Rangoni. During World War II, the company involved in the production of war, moved from Modena to Maranello. It was not until after World War II were asked by Ferrari to resist the fascist reputation and homemade cars bearing his name, founded Ferrari SpA this day in 1947. The first race wheel air-opens in Turin in 1948 and entered his first win later in the year in Lago di Garda. Ferrari took part in the World Championships sejaknya Recipe 1. In 1960 an issue of lack of demand and inadequate financing forced Ferrari to allow Fiat to take a stake in the company. Ferrari had offered Ford the opportunity to buy the firm in 1963 for U.S. $ 18 million but, late in negotiations, Ferrari pull back. This decision triggered Ford's decision Machine Company to launch a serious European sports Kareta race. The company became joint-stock and Fiat took the small share in 1965 and then in 1969 they increased their holding fast to 50% of the company. (In 1988 Fiat-owned land plus to 90%). However, Gilles Villeneuve was killed in the 126C2 in May, and teammate Didier Pironi led to his career cut short at the end of the final turn hard over the misty backstraight at Hockenheim in August. Pironi pegemudi championship lead at the time: he will lose the lead as he waited for the rest of the race is completed. Tim saw another championship for Ferrari lives. 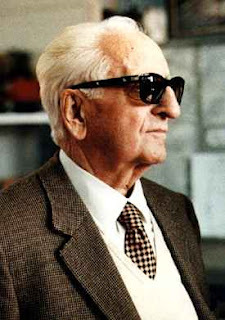 Enzo Ferrari died on August 14, 1988 in Modena at the age of 90. His death was not made public until two days later by Enzo request. He died at the beginning of the power of the McLaren Honda combination. The only race which McLaren did not win in 1988 was the Italian Grand Prix. held just weeks 1-2 breaking results for Ferrari, with Gerhard Berger relationships leading home Michele Alboreto. After Ferrari's death, the Scuderia Ferrari team's success, especially with Michael Schumacher, Felipe Massa and Kimi Räikkönen. He witnessed the Ferrari F40 race car shortly before his death. In 2003, the car was launched with the name of Enzo Ferrari. Make a Cavaliere del Lavoro in 1952, to add honor Cavaliere and Commendatore in the 1920s, Ferrari also received a number of honorary degree, Hammarskjöld Prize in 1962, the Columbus Prize in 1965, and the De Gasperi Award in 1987. In 1994, he was posthumously inducted into the International Motorsports Hall of Fame. After his death the son Alfredo (Dino) Ferrari iconic sunglasses almost every day to honor her son.